Today, OceanX team leader Dennis Aasberg gave another short but very intriguing statement on the crew’s efforts to shed light on the mysterious Baltic Sea object that has evaded all reasonable attempts at identification so far. It is not essential to believe this hypothesis about to be shared is the definitive explanation, but it should at least be considered along with all the others. 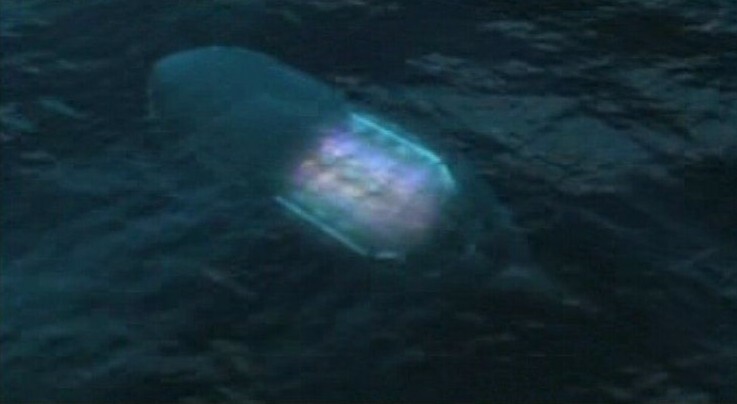 Many reports of USOs exist of objects traveling at great speed underneath the water with lights visible, including a report that dates as far back as Christopher Columbus. These underwater objects have been reported as having been able to glide effortlessly underwater with great speed. If you have an open enough mind to believe the extraterrestrial hypothesis, then there is another possibility as to how the objects came to be where they now rest. First though, you have to realise there is a THIRD object which is hardly ever mentioned in the discussions and it lies some 5,000 feet further away from the 2 anomalies. What if the object was ALREADY underwater? 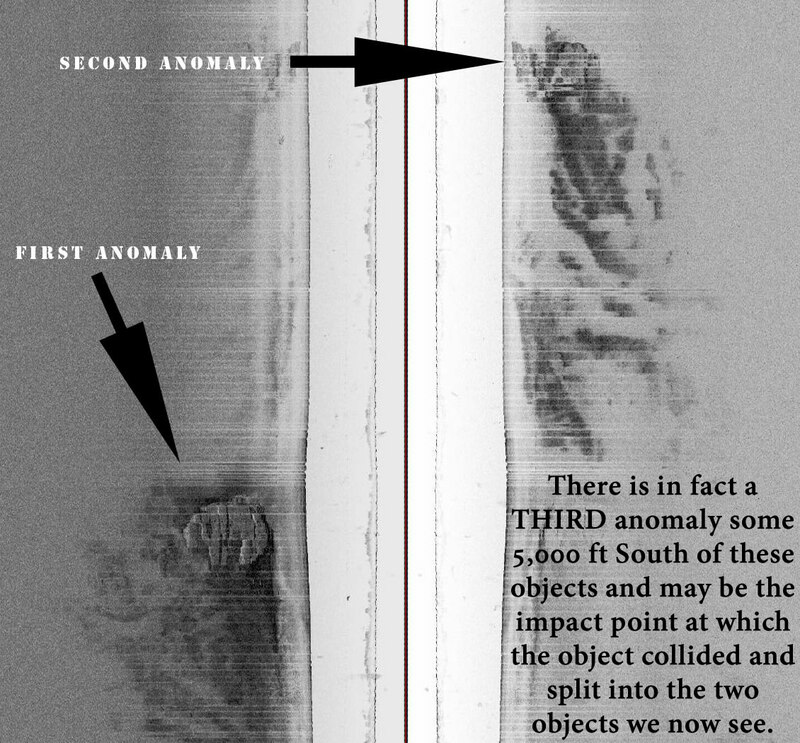 It was speeding through the water and may have hit the undersea 90ft high rock structure described above – hitting it with such force as to carve the deep crack, then spinning out of control before splitting into 2 pieces 5000ft North of the impact point (the two pieces would be the two main visible anomalies we see in the sonar images). Where did you find the “everything is top secret” quote mentioned above? There seems to be a lot of strange reporting on this story, so I just want to verify the source for this news. Jason, the team are making most of their updates through their Facebook Page. That is where the quote came from. Found them on Facebook but not the comment you quote above .. care to give us a link to the Facebook page where YOU got the comment . .
it´s a ANNUAL military exercise called BALTOPS.. nothing suprising at all. Hmmm. Thanks for reporting on this quote – I missed it because I don’t have a Facebook account. Whatever this thing is, extraterrestrial or not, I hope we get the truth. Interesting indeed, even more so the military is close by. I hope they find what we all want and it doesn’t turn out to be a big cheese wheel . Does anyone know whatever became of those ancient water fortresses, the biggest boats ever built. Many were wood and were hit with fire in battle and sunk but does anyone know if these were used in the Baltic ? Does anyone know their official facebookpage to the ocean Explorer? Soon we will know the Truth????? Or we will know the conveniente “Truth” of someone who reallly desire that all the people must remains in ignorance? ?